RUN FOR FUN. RUN FOR A CAUSE. 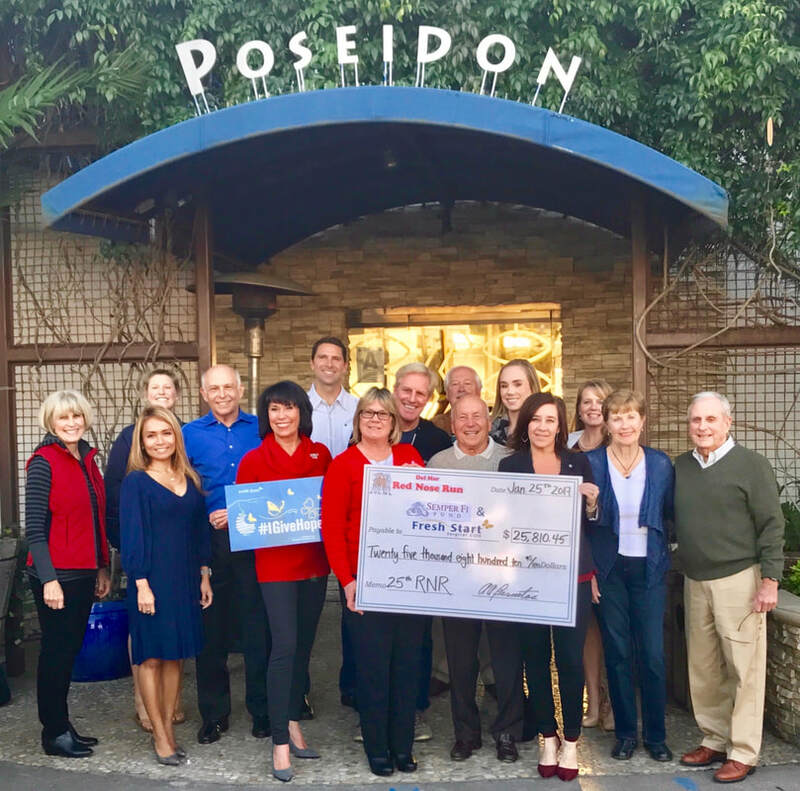 Since 1992, The Red Nose Run (TRNR) has been 100% volunteer-organized by the Low and Slow Running Club of Del Mar, which consists of runners of various ages and running abilities. We started TRNR to support a budding charity, Fresh Start Surgical Gifts. Since then, we added Semper Fi Fund. As we enter our 27th year of TRNR, we have raised $327,000 for these amazing charities. This December, we invite you to join us for a fun and festive time while we continue to support these well deserving charities.